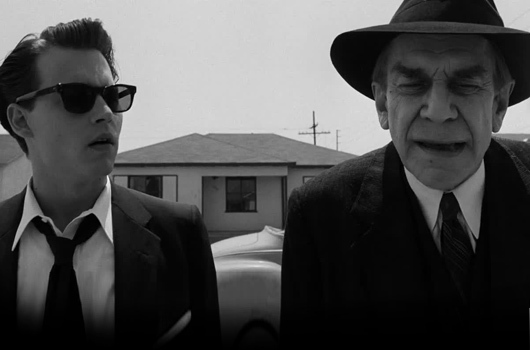 Tim Burton’s 1994 comedy-drama biopic Ed Wood brought the story of one of Hollywood’s true cult idols into the spotlight, for once drawing the attention away from his movies. Starring Johnny Depp as the low-budget filmmaker Edward D Wood Jr, the movie is notable for its interesting development process as much as its subject matter. Writers Scott Alexander and Larry Karaszewski were keen to distance themselves from their reputation as writers of family-friendly fare such as Problem Child (1990), and despite their reservations about the idea, pitched an initial treatment for an Ed Wood biopic to director Michael Lehman, with whom they had attended the USC School of Cinematic Arts. Lehman in turn showed the treatment to Denise Di Novi, who suggested that her former colleague Tim Burton (a long-time fan of Wood’s work) would be a good match as co-producer alongside herself. Freed from a previous commitment to directing Mary Reilly (1996) for Columbia, Burton was able to direct Ed Wood himself, and the Alexander-Karaszewski team wrote the entire screenplay in six weeks. Production was brisk and – in line with Wood’s own style – relatively relaxed, the character-driven nature of the piece allowing for freedom and spontaneity rather than repeated retakes to accommodate special effects. It is true that Ed Wood does take some historical liberties, retaining a relentlessly sympathetic approach to Wood’s work and making fairly significant changes to the life story of his friend and colleague Bela Lugosi. However, the core events remain intact, making the movie a thoroughly entertaining exploration of the life of one of cinema’s offbeat icons. Johnny Depp excels in the title role, his slightly glazed portrayal of Ed Wood radiating eternal optimism. 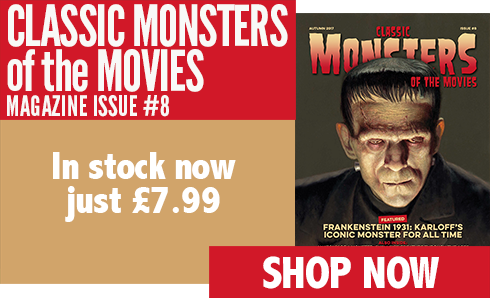 Support comes from Martin Landau’s remarkable, Academy Award-winning portrayal of Bela Lugosi, with Sarah Jessica Parker and Patricia Arquette as the two women in Ed’s life. Meanwhile, Bill Murray’s outrageous turn as Bunny Breckinridge adds genuine belly-laugh humour to a movie that treads the fine line between laughter and melancholy in a most unexpected way, capturing the naiveté and quiet tragedy of many a Hollywood career.